Clinical experience and autobiographies confirm that such individuals have considerable difficulty with the understanding and expression of nonverbal behaviors and social reciprocity. Regarding peer relationships, when we observe and assess the social play and friendship skills of kids with Aspergers, we recognize a delay in the conceptualization of friendship. The youngster may have an overall intellectual ability within the normal range, but their understanding of friendship skills resembles a much younger child. It is not simply a matter of developmental delay, however. There are aspects that are conspicuously unusual for any of the developmental stages . At present, we can only speculate what the consequences may be for a youngster who fails to develop peer relationships that are appropriate for their developmental level, but inevitably there will be lasting effects in several aspects of cognitive, social, and emotional development. When playing in a group, kids learn the value of alternative perspectives and solutions in problem solving. They acquire increasingly sophisticated and successful strategies to resolve conflict and the interpersonal and team skills valued by employers. Many of the characteristics valued in a close friend become the attributes associated with lasting personal relationships. Clinical experience also suggests that the social isolation of kids with Aspergers in the school playground can increase the youngster's vulnerability to being teased and bullied and a lack of close friends also can be a contributory factor in the development of childhood depression. A delay in social knowledge also can lead to anxiety in social situations that may develop into social phobia, school refusal, and agoraphobia. Thus, we achieve cognitive and affective growth within our circle of friends. It is inevitable that impaired peer relationship skills can result in significant psychopathology. Young kids with Aspergers may demonstrate more mature interaction skills with adults than with their peers. It is important that adults, especially moms & dads, observe the natural play of the youngster's peers, noting the games, equipment, rules, and language. They can then practice the same play with the youngster but with an adult ‘acting’ as their peer. This includes using what the author describes as ‘child speak,’ namely the speech of kids rather than adults. It is important that the adult role-plays examples of being a good friend, and also situations that illustrate unfriendly acts, such as disagreements and teasing. Appropriate and inappropriate responses can be enacted to provide the youngster with a range of responses. Moms & dads can borrow or buy duplicate equipment that is used at school or is popular with their peers. Once the youngster has rehearsed with an adult who can easily modify the pace of play and amount of instruction, they can have a ‘dress rehearsal’ with another youngster, perhaps an older sibling or mature youngster in their class who can act as a friend to provide further practice before the skills are used openly with their peer group. Another strategy to learn the relevant cues, thoughts, and behavioral script is to write Social Stories that can be used by the youngster to improve their social understanding and abilities . Finally in stage 2, the author has noted that there can be different coping mechanisms used by girls with Aspergers in comparison with boys. Girls with Aspergers are more likely to be interested observers of the social play of other girls and to imitate their play at home using dolls, imaginary friends, and by adopting the persona of a socially able girl. This solitary practice of the social play of their peers can be a valuable opportunity to analyze and rehearse friendship skills. Some girls with Aspergers can develop a special interest in reading fiction that may be age-appropriate or classic literature. This also provides an insight into thoughts, emotions, and social relationships. It is also noticeable that other girls can be more maternal than boys and can facilitate the inclusion of a girl with Aspergers within an established group of friends. Their social difficulties can be accommodated and guided by peers who value the role of mother or educator. The girl with Aspergers also may be popular because she is honest and consistent and less likely to be spiteful. In the third stage, a friend is not simply someone who helps; they are chosen because of special attributes in their abilities and personalities. A friend is someone who genuinely cares and has complimentary attitudes, ideas, and values. There is a strong need to be liked by their peers and a mutual sharing of experiences and thoughts. With such self-disclosure, there is the recognition of being trustworthy and seeking advice not only for practical problems but also for interpersonal issues. There is a need for companionship and greater selectivity and durability in the friendship alliances. At this stage, there is a distinct gender split and peer pressure becomes increasingly important. Peer group acceptance and values become more important than the opinion of moms & dads. Friends also support each other in terms of managing emotions. If the youngster is sad, close friends will cheer them up, or if angry, calm them down to prevent the person from getting into trouble. In stage 3, there is usually a clear gender preference in the choice of friends. 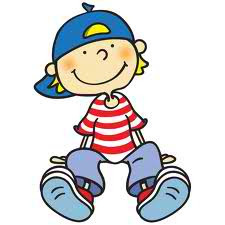 The activities and interests of boys, who may be playing team games or sports, may be considered of little value to the boy with Aspergers. They also are likely to be less able than their peers in team games and ball skills that may lead to teasing and bullying by boys who can be notoriously intolerant of someone who is different. When the boy with Aspergers approaches girls, they can be more readily included in their activities, and girls can be more patient, maternal, and supportive. One of the consequences of being more welcomed by girls than by boys and spending more time playing with girls than boys is that the boy with Aspergers can imitate the prosody and body language of their female friends. This can result in further isolation and torment from male peers. The youngster needs a balance of same and opposite gender friends, and some social engineering could be necessary to ensure acceptance by both groups. During stage 3 there is a strong desire for companionship rather than functional play, and the youngster with Aspergers can feel lonely and sad if their attempts at friendship are unsuccessful , . They need tuition and guidance, but this may be achieved by discussion with supportive peers and adults. Individual kids who have a natural rapport with a youngster with Aspergers can be guided and encouraged to be a mentor in the classroom, playground, and in social situations. Their advice may be accepted as having greater value than that of moms & dads or a teacher. It is also important to encourage their friends or peers to help them regulate their mood, stepping in and helping the person calm down if they are becoming agitated or tormented. Friends may need to provide reassurance if the person is anxious and to cheer them up when sad. The youngster with Aspergers also needs advice and encouragement to be reciprocal with regard to emotional support, and must be taught how to recognize the signs of distress or agitation in their friend and how to respond. At this stage, the existing remedial programs use strategies to develop teamwork rather than friendship skills. To be attending a program on teamwork skills for sports or employment may be considered more acceptable to the young teenager with Aspergers, who may be sensitive to any suggestion that they need remedial programs to have friends. Another strategy to help the teenager who is sensitive to being publicly identified as having few friends is to adapt speech and drama classes. Liane Holliday-Wiley, in her book Pretending To Be Normal, describes how she improved her social skills by observation, imitation, and acting . This is an appropriate and effective strategy, especially in stage 3. The person with Aspergers can learn and practice conversational scripts, self-disclosure, body language, facial expression, and tone of voice for particular situations, and role-play people they know who are socially successful. The teenager or adult with Aspergers sometimes uses this strategy naturally; however, it is important to ensure that they choose good role models to portray. Because of the developmental delay in the conceptualization of friendship, when the person with Aspergers reaches stage 4, they have usually left high school and seek friends through work and recreational pursuits. Attempts to change a relationship from colleague or work mate to friend can present some challenges to the young adult with Aspergers. A mentor at work who understands their unusual profile of friendship skills can provide guidance and act as a confidante and advocate. The mentor also can help determine the degree of genuine interest in friendships from the colleague. Sometimes people with Aspergers assume that a friendly act, smile, or gesture has greater implications than was intended. There can be a tendency to develop an intense interest or infatuation with a particular person. This topic may dominate their time and conversation and can lead to behavior such as stalking. Conversely, the person with Aspergers can be desperate to have a friend and may become the recipient of financial, physical, or sexual abuse, through failing to recognize that the other person's intentions are not honorable. The two-way misinterpretation of signals and intentions can lead to mutual confusion. Relationship counseling can be suggested, but at present counselors often have limited knowledge and experience regarding Aspergers . 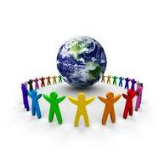 An interesting development in recent years is older and more mature adults with Aspergers providing guidance and counseling through group counseling sessions organized by adult support groups. These groups are often formed by concerned moms & dads and individuals with Aspergers who want to meet like-minded individuals. They meet on a regular basis to discuss topics that range from employment issues to personal relationships. The Internet has become the modern equivalent of the dance hall in terms of an opportunity for young people to meet. The great advantage of this form of communication to the person with Aspergers is that they often have a greater eloquence to disclose and express their inner self and feelings through typing rather than conversation. In social gatherings, the person is expected to be able to listen to and process the other person's speech (often against a background of other conversations), to immediately reply, and simultaneously analyze nonverbal cues, such as gestures, facial expression, and tone of voice. When using the computer, the person can concentrate on social exchange using a visual rather than auditory medium. As in any other situation, the person with Aspergers may be vulnerable to others taking advantage of their social naivety and desire to have a friend. The person with Aspergers needs to be taught caution and to not provide personal information until they have discussed the Internet friendship with someone they trust. Genuine and long-lasting friendships can develop over the Internet based on shared experiences, interests, and mutual support. It is an opportunity to meet like-minded individuals who accept the person because of their knowledge rather than their social persona. The person with Aspergers is somewhat egocentric and eccentric but can prove an honest, loyal, and knowledgeable friend. When one considers the diagnostic criteria for Aspergers and the effects of the disorder on the person's adaptive functioning in a social context, one would expect such individuals to be vulnerable to the development of secondary mood disorders. The current research indicates that approximately 65% of teenager patients with Aspergers have an affective disorder that includes anxiety disorders , , , , ,  and depression . There is also evidence to suggest an association with delusional disorders , paranoia , and conduct disorders . We know that comorbid affective disorders in teenagers with Aspergers are the rule rather than the exception, but why should this population be more prone to affective disorders? Research has been conducted on the family histories of kids with autism and Aspergers and has identified a higher than expected incidence of mood disorders , , , . Individuals with Aspergers could be vulnerable to a genetic predisposition to mood disorders. When one also considers their difficulties with regard to social reasoning, empathy, verbal communication, profile of cognitive skills, and sensory perception, however, they are clearly prone to considerable stress as a result of their attempts at social inclusion. Chronic levels of stress can precipitate a mood disorder. Thus, there may be constitutional and circumstantial factors that explain the higher incidence of affective disorders. The theoretic models of autism developed within cognitive psychology and research in neuropsychology also provide some explanation as to why such individuals are prone to secondary mood disorders. The extensive research on Theory of Mind skills confirms that individuals with Aspergers have considerable difficulty identifying and conceptualizing the thoughts and feelings of other people and themselves , , , , . The interpersonal and inner world of emotions seems to be uncharted territory for people with Aspergers. CBT has been designed and refined over several decades and has proven to be effective in changing the way a person thinks about and responds to feelings such as anxiety, sadness, and anger , . CBT focuses on aspects of cognitive deficiency in terms of the maturity, complexity, and efficacy of thinking, and cognitive distortion in terms of dysfunctional thinking and incorrect assumptions. Thus, it has direct applicability to patients with Aspergers who are known to have deficits and distortions in thinking. The therapy has several components, the first being an assessment of the nature and degree of mood disorder using self-report scales and a clinical interview. The subsequent stage is affective education with discussion and exercises on the connection between cognition, affect, and behavior, and the way in which individuals conceptualize emotions and construe various situations. Subsequent stages are cognitive restructuring, stress management, self-reflection, and a schedule of activities to practice new cognitive skills. Cognitive restructuring corrects distorted conceptualizations and dysfunctional beliefs. The person is encouraged to establish and examine the evidence for or against their thoughts and build a new perception of specific events. Stress management and cue controlled relaxation programs are used to promote responses incompatible with anxiety or anger. Self-reflection activities help the person recognize their internal state, monitor and reflect on their thoughts, and construct a new self-image. A graded schedule of activities is also developed to allow the person to practice new abilities that are monitored by the therapist. The assessment includes the construction of a list of behavioral indicators of mood changes. The indicators can include changes in the characteristics associated with Aspergers, such as an increase in time spent engaged in solitude or their special interest, rigidity, or incoherence in their thought processes, or behavior intended to impose control in their daily lives and over others. This is in addition to conventional indicators such as a panic attack, comments indicating low self worth, and episodes of anger. It is essential to collect information from a wide variety of sources, as kids and adults with Aspergers can display quite different characteristics according to their circumstances. For example, there may be little evidence of a mood disorder at school but clear evidence at home. Moms & dads and teachers also can complete a daily mood diary to determine whether there is any cyclical nature to, or specific triggers for, mood changes. The clinician also needs to assess the coping mechanisms and vocabulary of emotional expression of the person with Aspergers. Although there are no standardized tests to measure such abilities, some characteristics have been identified by clinical experience. For example, discussion with moms & dads can indicate that the youngster displays affection, but the depth and range of expression is usually limited and immature for their chronologic age. Their reaction to pleasure and pain can be atypical, with idiosyncratic mannerisms that express feeling excited, such as hand flapping, or a stoic response to pain and punishments. Examples of characteristics that moms & dads may be concerned about are a lack of apparent gratitude or remorse and paradoxic and atypical responses to particular situations. For example, the youngster may giggle when expected to show remorse  and be remarkably quick in resolving grief. They also may misinterpret gestures of affection, such as a hug, with the comment that the squeeze was perceived as uncomfortable and not comforting. Their emotional reactions also can be delayed, perhaps with an expression of anger some days or weeks after the event. Their coping or emotional recovery mechanisms need to be assessed and can include characteristics such as retreating into solitude, increasing time spent engaged in a special interest, reading fantasy literature, and playing computer games. Some individuals internalize their reaction with self-blame and low self-esteem, whereas others externalize their reaction, becoming critical of others and developing an arrogant and intolerant personality. The former may show signs of depression and anxiety, whereas the latter are often referred for problems with anger management. Different emotions can prevail at particular times of the day, however, for example, being anxious before school and angry when returning home. It is also valuable to assess not only how the youngster repairs their own feelings but also how they repair the feelings of others. Research suggests that people with Aspergers use fewer of the available cues in facial expression and body language to infer emotional states . The clinician needs to assess the client's ability to identify the cues of emotional states in others and to know when specific words and actions are anticipated, for example, providing gestures and words of affection when a family member or friend is sad or reassurance when they are anxious. Questions can be asked, such as “How would you know when your mother is feeling sad?” and “What would you do if she were crying?” Another area of assessment is their awareness of the impact of their own mood state and associated behavior on the thoughts and feelings of others, namely an assessment of empathy. Unfortunately we do not have any standardized tests to measure empathy; accordingly, most information is obtained from discussion with the person with Aspergers and their family for examples of a relative lack of empathic response. Affective education is the next stage in a course of CBT and an essential component for those with Aspergers. The main goal is to learn why we have emotions, their use and misuse, and the identification of different levels of expression. A basic principle is to explore one emotion at a time as a theme for a project. The choice of which emotion to start with is decided by the therapist, but a useful starting point is happiness or pleasure. A scrapbook can be created that illustrates the emotion. For young kids, this can include pictures of people expressing the different degrees of happiness or pleasure, but can be extended to pictures of objects and situations that have a personal association with the feeling, for example, a photograph of a rare lizard for a person with a special interest in reptiles. For adults, the book can illustrate the pleasures in their life, with a list based on the song My Favorite Things. The content also can include the sensations that may elicit the feeling, such as aromas, tastes, and textures. The scrapbook can be used as a diary to include compliments, and records of achievement, such as certificates and memorabilia. At a later stage in therapy, the scrapbook can be used to change a particular mood but it also can be used to illustrate different perceptions of a situation. If the therapy is conducted in a group, the books can be compared and contrasted. Talking about trains may be an enjoyable experience for one participant but perceived as remarkably boring or dominating for another. Part of the education is to explain that although this topic may create a feeling of well being in the one participant, their attempt to cheer up another person by talking about trains may not be a successful strategy, perhaps producing a response that they did not expect. 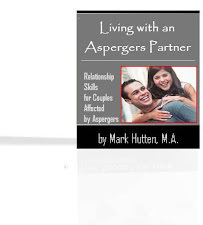 One of the interesting aspects that the author has noticed is that clients with Aspergers tend to achieve enjoyment primarily from knowledge, interests, and solitary pursuits, and less from social experiences, in comparison with other client groups. They are often at their happiest when alone. The affective education stage includes the therapist describing and the client discovering the salient cues that indicate a particular level of emotional expression in facial expression, tone of voice, body language, and context. The face is described as an information center for emotions. The typical errors include not identifying which cues are relevant or redundant, and misinterpreting cues. The therapist uses a range of games and resources to “spot the message” and explain the multiple meanings; for example, a furrowed brow can mean anger or bewilderment, or may be a sign of aging skin. A loud voice does not automatically mean that a person is angry. Once the key elements that indicate a particular emotion have been identified, it is important to use an “instrument” to measure the degree of intensity. The therapist can construct a model “thermometer,” “gauge,” or volume control, and can use a range of activities to define the level of expression. For example, they can use a selection of pictures of happy faces and place each picture at the appropriate point on the instrument. During the therapy it is important to ensure the client shares the same definition or interpretation of words and gestures and to clarify any semantic confusion. Clinical experience has indicated that some clients with Aspergers can use extreme statements such as “I am going to kill myself” to express a level of emotion that would be more moderately expressed by another client. During a program of affective education, the therapist often has to increase the client's vocabulary of emotional expression to ensure precision and accuracy. The education program includes activities to detect specific degrees of emotion in others but also in oneself, using internal physiologic cues, cognitive cues, and behavior. Technology can be used to identify internal cues in the form of biofeedback instruments such as auditory EMG and GSR machines. The client and those who know them well can create a list of their physiologic, cognitive, and behavioral cues that indicate their increase in emotional arousal. The degree of expression can be measured using one of the special instruments used in the program, such as the emotion thermometer. One of the aspects of the therapy is to help the client perceive their “early warning signals” that indicate emotional arousal that may need cognitive control; perhaps, using a metaphor, they can be the warning lights and instruments on a car dashboard. When a particular emotion and the levels of expression are understood, the next component of affective education is to use the same procedures for a contrasting emotion. After exploring happiness, the next topic explored would be sadness; feeling relaxed would be explored before a project on feeling anxious. The client is encouraged to understand that certain thoughts or emotions are “antidotes” to other feelings, for example, some strategies or activities associated with feeling happy may be used to counteract feeling sad. Some individuals with Aspergers can have considerable difficulty translating their feelings into conversational words. There can be a greater eloquence, insight, and accuracy using other forms of expression. 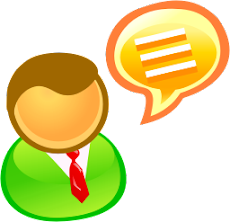 The therapist can use prose in the form of a “conversation” by typing questions and answers on a computer screen or techniques such as comic strip conversations that use figures with speech and thought bubbles . 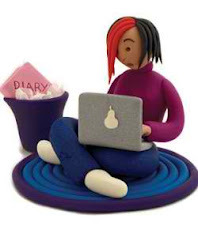 When designing activities to consolidate the new knowledge on emotions, one can use a diary, e-mail, art, or music as a means of emotional expression that provides a greater degree of insight for client and therapist. 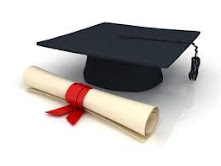 Other activities to be considered in affective education are the creation of a photograph album that includes pictures of the client and family members expressing particular emotions, or video recordings of the client expressing their feelings in real-life situations. This can be particularly valuable to demonstrate their behavior when expressing anger. Another activity entitled “Guess the message” can include the presentation of specific cues, such as a cough as a warning sign or a raised eyebrow to indicate doubt. It is also important to incorporate the person's special interest in the program. For example, the author has worked with individuals whose special interest has been the weather and has suggested that their emotions are expressed as a weather report. There are several kids's reading books that have a particular emotion as a theme and self-help books for teenagers with specific mood disorders that can be used as a form of bibliotherapy. We also now have books and computer programs that provide a social and emotional curriculum that includes activities for affective education for kids with Aspergers , . Cognitive restructuring enables the client to correct distorted conceptualizations and dysfunctional beliefs. The process involves challenging their current thinking with logical evidence and ensuring the rationalization and cognitive control of their emotions. The first stage is to establish the evidence for a particular belief. People with Aspergers can make false assumptions of their circumstances and the intentions of others. They have a tendency to make a literal interpretation, and a casual comment may be taken out of context or may be taken to the extreme. For example, a young teenage boy with Aspergers was once told his voice was breaking. He became extremely anxious that his voice was becoming faulty and decided to consciously alter the pitch of his voice to repair it. The result was an artificial falsetto voice that was incongruous in a young man. To explain a new perspective or to correct errors or assumptions, comic strip conversations can help the client determine the thoughts, beliefs, knowledge, and intentions of the participants in a given situation . 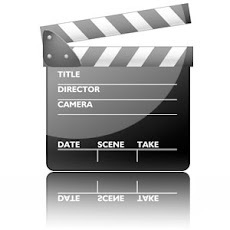 This technique involves drawing an event or sequence of events in storyboard form with stick figures to represent each participant, and speech and thought bubbles to represent their words and thoughts. The client and therapist use an assortment of fibro-tipped colored pens, with each color representing an emotion. As they write in the speech or thought bubbles, the person's choice of color indicates their perception of the emotion conveyed or intended. This can clarify the client's interpretation of events and the rationale for their thoughts and response. This technique can help the client identify and correct any misperception and determine how alternative responses might affect the participants' thoughts and feelings. One common effect of misinterpretation is the development of paranoia. Our knowledge of impaired Theory of Mind skills in the cognitive profile of kids with Aspergers suggests a simple explanation. The youngster can have difficulty distinguishing between accidental or deliberate intent. Other kids will know from the context, body language, and character of the person involved that the intent was not to cause distress or injury. Individuals with Aspergers, however, can focus primarily on the act and the consequences: “He hit me and it hurt, so it was deliberate,” whereas other kids would consider the circumstances: “He was running, tripped, and accidentally knocked my arm.” There may need to be training in checking the evidence before responding and developing more accurate “mind reading” skills. Cognitive restructuring also includes a process known as “attribution retraining.” The person may blame others exclusively and not consider their own contribution, or they can excessively blame themselves for events . One aspect of Aspergers is a tendency for some clients to adopt an attitude of arrogance or omnipotence where the perceived focus of control is external. Specific individuals are held responsible and become the target for retribution or punishment. These people have considerable difficulty accepting that they themselves have contributed to the event. The opposite can occur, however, when the client has extremely low self-esteem and feels personally responsible, which results in feelings of anxiety and guilt. There also can be a strong sense of what is right and wrong and conspicuous reaction if others violate the social “laws” . The youngster may be notorious as the class “policeman,” dispensing justice but not realizing what is within their authority. Attribution retraining involves establishing the reality of the situation, the various participants' contributions to an incident, and determining how the person can change their perception and response. Cognitive restructuring also includes activities that are designed to improve the person's range of emotional repair mechanisms. The author has extended the use of metaphor to design programs that include the concept of an emotional toolbox to “fix the feeling.” Patients know that a toolbox usually includes a variety of tools to repair a machine, and discussion and activities are used to identify different types of “tools” for specific problems associated with emotions. One type of emotional repair tool can be represented by a hammer, which signifies physical “tools” such as going for a walk or run, bouncing on a trampoline, or crushing empty cans for recycling. The intention is to repair emotions constructively by a safe physical act that increases the heart rate. One client explained how a game of tennis “takes the fight out of me.” A paintbrush can be used to represent relaxation tools that lower the heart rate, such as drawing, reading, or listening to calming music. A two-handle saw can be used to represent social activities or individuals who can help repair feelings. This can include communication with someone who is known to be empathic and able to dispel negative feelings. This can be by spoken conversation or typed communication, enabling the client to gain a new perspective on the problem and providing some practical advice. A picture of a manual can be used to represent thinking tools that are designed to improve cognitive processes. This includes phrases that encourage reflection before reaction. Evan, a young man with Aspergers, developed his “antidote to poisonous thoughts.” The procedure is to provide a comment that counteracts negative thoughts, for example, “I can't cope” (negative or poisonous thought) “but I can do this with help” (positive thought or antidote). The person also is taught that becoming emotional can inhibit their intellectual abilities in a particular situation that requires good problem-solving skills. When frustrated, one needs to become “cool” and less rigid in one's thinking to solve the problem, especially if the solution requires social cognition. There is a discussion of inappropriate tools (with the comment that one would not use a hammer to fix a computer) to explain how some actions, such as violence and thoughts such as suicide, are not appropriate emotional repair mechanisms. For example, one client would slap himself to stop negative thoughts and feelings. Another tool that could become inappropriate is to retreat into a fantasy world (perhaps imagining they are a superhero), or to plan retaliation. The use of escape into fantasy literature and games can be a typical tool for ordinary teenagers but is of concern when this becomes the exclusive coping mechanism; the border between fantasy and reality may be unclear and the thinking becomes delusional. Cognitive restructuring can be used to return to concrete thinking. Also of concern is when daydreams of retaliation to teasing and bullying are expressed in drawings, writing, and threats. Although this is a conventional means of emotional expression, there is a concern that the expression is misinterpreted as an intention to carry out the fantasy or indeed may be a precursor to retaliation using weapons. Unusual tools also are discussed. For example, during a group CBT session on sadness, a teenage girl explained that, “Crying doesn't work for me, so I get angry.” Clinical experience suggests that tears may be rare as a response to feeling sad, with a more common response to sadness being anger. The program includes the development of a range of conventional means of emotional expression and repair mechanisms and an explanation as to why some of their reactions are misinterpreted by others. Clinical experience also has indicated that humor and imagination can be used as thinking tools. Those with Aspergers are not immune to the benefits of laughter, can enjoy jokes typical of their developmental level, and can be remarkably creative with puns and jokes . One tool or mechanism that seems to be unusual is that of being quick at resolving grief and serious tragedies. This characteristic can be of concern to the person's family, who expect the classic signs of prolonged and intense grieving; they consider the person as uncaring, yet the rapid recovery is simply a feature of Aspergers. Other interesting characteristics are the inclusion of talking to pets as a social tool, sometimes in preference to talking to friends, and the positive effects on mood from helping someone. This strategy can be effective for clients with Aspergers who also need to be needed and can improve their mood by being of practical assistance. Finally, the concept of a toolbox can be extremely helpful in enabling the person with Aspergers not only to repair their own feelings but also to repair the feelings of others. They often benefit from tuition in learning what tools to use to help friends and family and which tools others use, so that they may borrow tools to add to their own emotional repair kit. Individuals with Aspergers are prone to greater stress in their daily lives than their peers. Social interaction, especially with more than one person, in which they have to identify, translate, and respond to social and emotional cues and cope with unexpected noise levels, inevitably increases stress to a point where the person's coping mechanisms may collapse. A stress assessment based on our knowledge of Aspergers will help the clinician determine what are the natural and idiosyncratic stressors for the client . Subsequently, an effective stress management program can be designed as an essential component of CBT. Traditional relaxation procedures using activities to encourage muscle relaxation and breathing exercises can be taught to clients with Aspergers as a counter conditioning procedure, but one must also consider the circumstances in which they are particularly prone to stress. Environmental modification can significantly reduce stress. This can include reducing noise levels, minimizing distractions, and having a safe area for periods of solitude to relax or concentrate on schoolwork. If the clinician recognizes that a particular event is a major cause of stress, then it would be wise to consider whether the source of stress could be avoided, for example, recommending the temporary suspension of homework. At school, one option for the youngster who becomes stressed in the playground is to be able to withdraw to the school library, or for the worker who is anxious about socializing during the lunch break, to complete a crossword puzzle or go for a walk. Another source of stress for kids and adults is unexpected changes in work demands or circumstances. They may need advance preparation and time to adjust their work schedule. In conventional CBT programs, the client is encouraged to self-reflect to improve insight into their thoughts and feelings, promoting a realistic and positive self-image and enhancing the ability to self-talk for greater self-control. The concept of self-consciousness may be different for individuals with Aspergers, however. There may be a qualitative impairment in the ability to engage in introspection. Research evidence, autobiographies, and clinical experience have confirmed that some clients with Aspergers and high functioning autism can lack an “inner voice” and think in pictures rather than words , . They also have difficulty translating their visual thoughts into words. As a teenager with Aspergers explained in relation to how visualization improves his learning (a picture is worth a thousand words), “I have the picture in my mind but not the thousand words to describe it.” Some have an “inner voice” but have difficulty disengaging mind and mouth, and vocalize their thoughts to the confusion or annoyance of those near them. Obviously, the therapy needs to accommodate such unusual characteristics. The modifications include a greater use of visual material and resources using drawings, role-play, and metaphor, and less reliance on spoken responses. It is interesting that many clients have a greater ability to develop and explain their thoughts and emotions using other expressive media, such as typed communication in the form of e-mail or a diary, music, art, or a pictorial dictionary of feelings . The therapy includes programs to adjust the client's self image to be an accurate reflection of their abilities and the neurologic origins of their disorder. Some time needs to be allocated to explaining the nature of Aspergers and how the characteristics account for their differences. 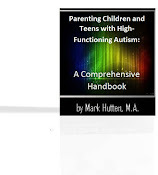 The author recommends that as soon as the youngster or adult has the diagnosis of Aspergers, the clinician needs to carefully and authoritatively explain the nature of the disorder to their family, but the youngster also must receive a personal explanation. This is to reduce the likelihood of inappropriate compensatory mechanisms to their recognition of being different and concern as to why they have to see psychologists and psychiatrists. They also may be concerned as to why they have to take medication and receive tuition at school that is not given to their peers. Over the last few years, there have been several publications and programs developed specifically to introduce the youngster or teenager to their diagnosis. The choice of which book or program to use is determined by the clinician, but it is important that the explanations are accurate and positive. The client will perceive the diagnosis as it is presented. If the approach is pessimistic, the reaction can be to trigger a depression or to reject the diagnosis and treatment. The clinician also can recommend the client read some of the autobiographies written by kids ,  and adults , . The subsequent discussion is whether and how to tell other people of the diagnosis, especially extended family, neighbors, friends, and colleagues. Once the client has improved their cognitive strategies to understand and manage their moods at an intellectual level, it is necessary to start practicing the strategies in a graduated sequence of assignments. The first stage is for the therapist to model the appropriate thinking and actions in role-play with the client, who then practices with the therapist or other group members, vocalizing thinking to monitor their cognitive processes. A form of graduated practice is used, starting with situations associated with a mild level of distress or agitation. A list of situations or triggers is created from the assessment conducted at the start of the therapy, with each situation written on a yellow Post-It note. The client uses the thermometer or measuring instrument originally used in the affective education activities to determine the hierarchy or rank order of situations. The most distressing are placed at the upper level of the instrument. As the therapy progresses, the client and therapist work through the hierarchy using fading or systematic desensitization using a schedule of graduated exposure to encourage the client to be less emotionally reactive . After practice during the therapy session, the client has a project to apply their new knowledge and abilities in real-life situations. The therapist obviously needs to communicate and coordinate with those who are supporting the client in real-life circumstances. After each practical experience, therapist and client consider the degree of success, using activities such as comic strip conversations to debrief, reinforcement for achievements, and a “boasting book” or certificate of achievement. It also helps to have a training manual for the client that includes suggestions and explanations. The manual becomes a resource for the client during the therapy but is easily accessible information when the therapy program is complete. One of the issues during the practice will be generalization. People with Aspergers tend to be rigid in terms of recognizing when the new strategies are applicable in a situation that does not obviously resemble the practice sessions with the psychologist. It is necessary to ensure that strategies are used in a wide range of circumstances and no assumption made that once an appropriate emotion management strategy has proved successful, it will continue to be used in all settings. The duration of the practice stage depends on the degree of success and list of situations. Gradually the therapist provides less direct guidance and support to encourage confidence in independently using the new strategies. The goal is to provide a template for current and future problem, but it will probably be necessary to maintain contact with the client for some time to prevent relapse. Aspects of CBT can be incorporated into conventional family therapy  and social skills groups , and can be conducted as the primary psychologic treatment. Other specialists may be consulted during the program, especially if the client has signs of attention deficit disorder, Tourette syndrome, and specific learning problems. Predictors of a successful outcome may include the complexity and degree of expression of the mood disorder and diagnostic characteristics, the intellectual capacity of the client, and their circumstances and support. Two positive predictors that have been recognized by the author from clinical experience are a sense of humor and imagination. Finally our scientific knowledge in the area of psychologic therapies and Aspergers is remarkably limited. We have case studies , but at present, no systematic and rigorous independent research studies that examine whether CBT is an effective treatment with this clinical population. This is despite the known high incidence of mood disorders, especially among teenagers with Aspergers. As a matter of expediency, a clinician may decide to conduct a course of CBT based on the known effectiveness of this form of psychologic treatment in the general population. We have yet to establish whether it is universally appropriate, however, and to confirm the modifications to accommodate the unusual characteristics and profile of abilities associated with Aspergers. this is one area that concerns me (with regard to clubs/activities to work on the social aspects) as to getting social skills groups nearby run by properly trained people I have found none - I would happily pay for her to go to one. She does go to a drama /singing club but most of those kids are not strugling socially - it would be great if there was one run specially with the aim of helping people learn social skills. It seems like a major gap that makes no sense to me why noone is filling it - I know alot is suppose to be done in school time with the help of mentors etc but it would be so great to get extra focused fun groups for youngsters with similar problems related to socialising in a club form. Without lots of help I see lots getting depressed and lonely.